I have been using the Hana EH high output moving coil phono cartridge for the past two years, and I had a chance to meet the man responsible for the Hana cartridge distribution, Mr. Masahiro Shibazaki of Sibatech when I was in Japan last year. His company, Sibatech, was originally contracted to do worldwide export distribution for cartridge manufacturer ExcelSound Corporation, which designs and builds the Hana cartridges. The cartridge would be sold under the brand name Abis Hana. There are four moving coil models available. The Elliptical series EH (Elliptical high output), EL (Elliptical low output); the Shibata series SH (Shibata high output) and SL (Shibata low output). While the cartridges were becoming very popular and highly rated. Mr. Shibazaki suffered an illness and, much to his disappointment, saw the distribution of the Hana taken over by Excel Sound. He told me as of early 2017, Sibatech is no longer involved with ExcelSound Corporation or the Hana cartridge. This explains why the name on the box was changed from Abis Hana to just Hana. Also, the side of the box saying “exported by Sibatech” was removed and replaced by the name ExcelSound Corporation. This is still the same exact cartridge designed and built by ExcelSound Corporation. I also discovered that due to Japanese business politics, the Hana is not sold in Japan even though it is made there. For the past 35 years, my main turntable has been an AR “The AR turntable” with a Sumiko Premier MMT tonearm that is currently played through an inexpensive NAD PP1 phono stage. My primary phono cartridges have been a Sumiko Talisman S, Sumiko Talisman A, Sumiko Blue Point and a couple of Grado Platinums in that order. The Grado Platinum’s were my favorite cartridge until I heard the Hana, and I really enjoyed all of my primary cartridges except for the Sumiko Blue Point. The Blue Point was just too forward and harsh in my setup. The Talismans were used at the time through a very old NAD 1020A preamplifier which included a moving coil input. I have not heard the Talisman S, in years, so any description is from memory. I still use the Talisman A in another setup. The rest of my equipment is the Antique Sound Lab Line One tube preamplifier, the wonderful sounding Quicksilver Mini Mite 25 watt tube power amplifiers using both KT77 and 6L6 output tubes. 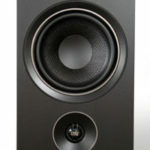 The Acarian System Alon 1 speakers complete the system and are used because their sound reminded me of the classic Dahlquist DQ-10s with their wide open sound except they are much smaller and easier to drive. Audioquest speaker cables and interconnects are used throughout my system. My records are cleaned regularly with a Nitty Gritty vacuum record cleaning machine. The stylus is cleaned periodically using Last 4 stylus cleaner. Although some of my equipment is over 20 years old,, I enjoy my current system and have not had any problems with it, so I plan on keeping everything the same for now. I am able to hear big differences using the various cartridges that I currently own and have used over the past 35 years, even through an inexpensive phono stage. Peter Ledermann of Soundsmith told me that the phono cartridge is way more important than the phono stage, tonearm, and turntable because the cartridge stylus tip comes into direct contact with the record which makes sense to me. I agree with this while others may have a differing view. I find only the speakers have a bigger impact on the sound over the phono cartridge. I oil both the turntable bearings and the turntable motor with Singer sewing machine oil as part of my regular maintenance about once a year. This has kept my turntable bearings and motor quiet all of these years despite my extensive use. I installed the Hana tracking a little higher than the 2 grams of recommended tracking force. Using 2.2 grams seem to increase the bass to just the right amount. I set the anti-skate to just under the tracking weight. The vertical tracking angle is difficult to adjust on the MMT tonearm because you have to reach two screws in a difficult to reach area, however, I still tried a few different angles and ended up putting it back to the minimum position feeling that made the Hana sound the best. The Hana is very compatible with my MMT medium mass tonearm. Although the weight of the cartridge is only 5 grams, this seems to be a fairly low compliant cartridge. This was confirmed by George Merrill’s resonance test using a Jelco medium mass tonearm with a very heavy headshell. Low mass tonearms may not be the best match for this cartridge. The output seems a little higher than the rated 2 mv output. I had difficulty installing the cartridge because the plastic stylus protector was in the way. I had to remove it to get the screw and nuts in place, so I had to be very careful not to damage the stylus. The alignment is probably more critical with Hana’s Shibata phono cartridges. Right out of the box, the biggest strength of the Hana is the way the music comes right through as if the cartridge isn’t even there. 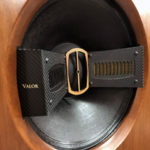 It is very quiet and surface noise is kept to a minimum making for an enjoyable listening experience. The treble is very sweet sounding and musical. The midrange seems smooth and just right. The bass while not as deep as other cartridges is full enough to keep me satisfied. The balance through both channels was even. The Hana has the wonderful imaging and soundstage that connects you to the music. Tracking is outstanding and there is no inner groove distortion. The Hana had absolutely no harshness and was so musical I could listen to it for hours. I listen to a lot of classical orchestral music including Copland, Beethoven, Mozart, Tchaikovsky, Handel and jazz such as Buddy Rich, Maynard Ferguson, Billy Cobham which all have a lot of complex passages. The Hana had no trouble tracking and keeping pace with these passages. When I close my eyes, I felt transported to the concert without having to deal with the crowds. The Hana also plays rock really well. I am listening to Steely Dan’s Countdown to Ectasy right now. The Hana sounded spectacular playing the Crystal Clear direct to disc recording of Walter Sussking conducting the London Philharmonic. The Hana seemed completely compatible with every record I played. The lack of surface noise even made my older worn records sound great. The music comes through in a three dimensional presentation giving the “you are there” experience”. The Hana cartridge is the best cartridge I have ever owned. I have been using my Hana almost every day for hours, so there is probably well over 1,500 hours on it. The sound has not degraded at all, which means this is a fairly durable moving coil cartridge. I bought a number of extra cartridges so I could rotate cartridges and not wear out the Hana, however, I still use the Hana almost exclusively. When comparing the Hana to other cartridges, the Hana gives me the clarity of the Sumiko Talisman S and Talisman A, and more clarity than the Grado Platinum. The Hana has almost as much bass extension as the Grado Platinum and more bass than the Sumiko Talisman S and Talisman A. Surface noise is kept to a minimum similar to the Grado Platinum. Although the hum on my Grado was very minimal, the Hana had no hum or noise at all. 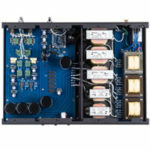 I compared the Hana to an Ortofon MC-1 Turbo high output moving coil phono cartridge ($240). The Ortofon sounded similar and had a little better bass, however, the Hana was better in just about every other category. I recently bought the new Sumiko Rainier cartridge ($150) on a whim, which is a fine cartridge for the price. I felt it was a huge step down from the Hana. While in its own way the Rainier is a good cartridge, it did not connect me to the music the way the Hana would. I put a Nagaoka MP-110 cartridge ($125) on another turntable that I own and found this cartridge was not as engaging either with a sound similar to the Rainier. I know using another turntable with the Nagaoka is not a fair comparison, however, this is what I heard. The U.S. distribution of Hana is handled by Musical Surroundings as of May 2016. The price was increased from $400 to $475. This usually happens after a change of distribution or a number of good reviews. Fortunately, there is a 10% trade in credit on any cartridge, working or not, towards the Hana, which brings the price down to $427.50. If you are interested in this cartridge, you are advised to take advantage of this offer from an authorized dealer. Hana is no longer sold on websites such as Ebay. 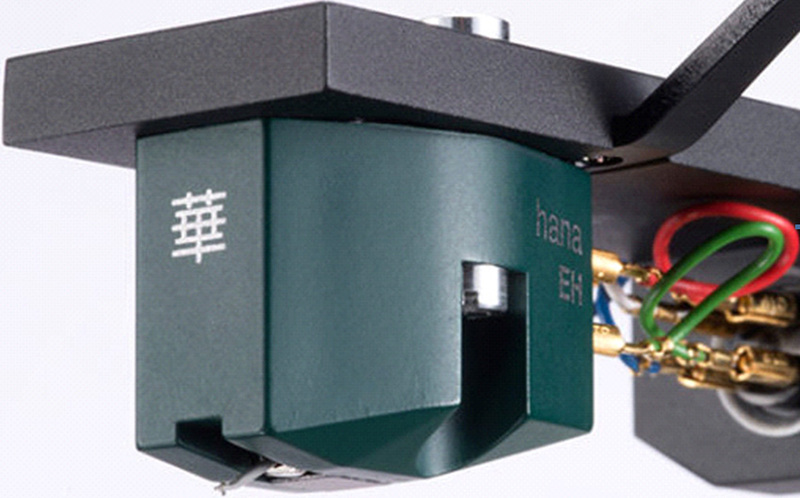 The superb Hana EH high output moving coil phono cartridge is highly recommended. 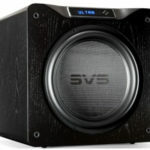 most reviews of audio equipment are no where near as well written, and the reviewer here also showed care and diligence in his equipment comments and set up which is helpful.